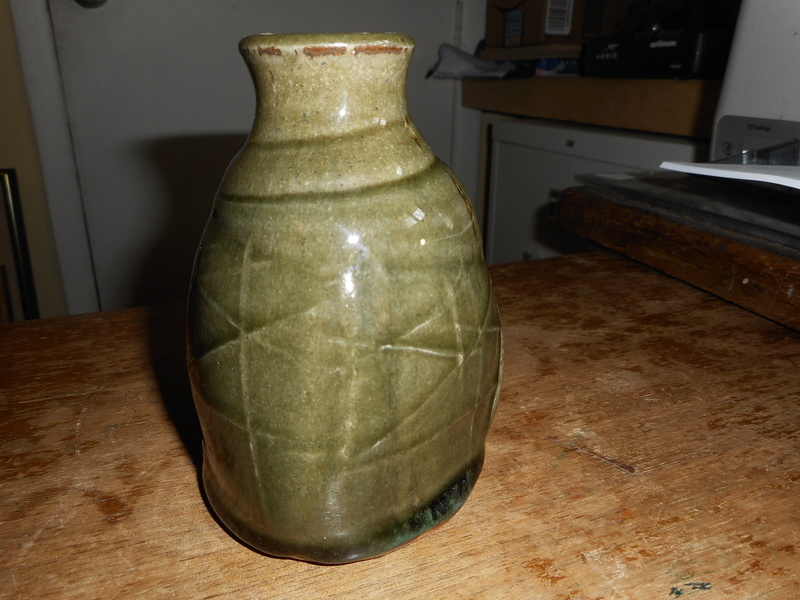 Can anyone Id this vase? Thank you. 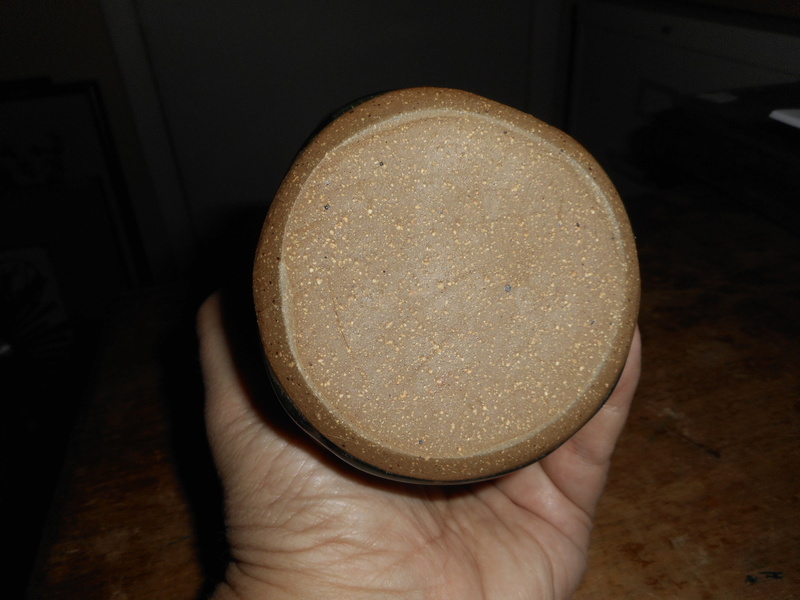 I can't recognise the marks but the vase is stoneware rather than earthenware and lumpiness is trying to copy a Japanese type of throwing, which appears less controlled than some Western techniques. Likewise the way it is marked suggests a Japanese influence but I suspect it was made somewhere in the States. Greetings all!! I wanted to give an update on this bottle. 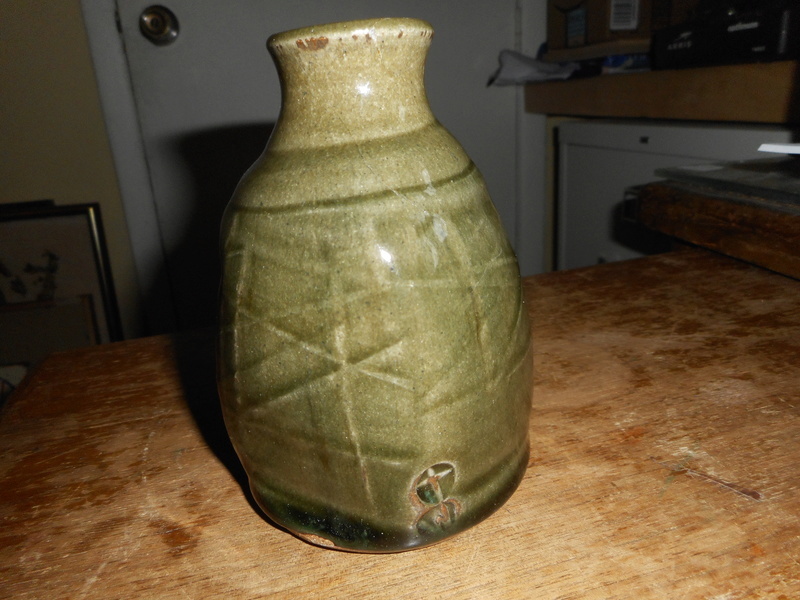 I posted it on the Gotheborg board as well, as it did have a sort of Asian influence, to me it looked like a Sake bottle. 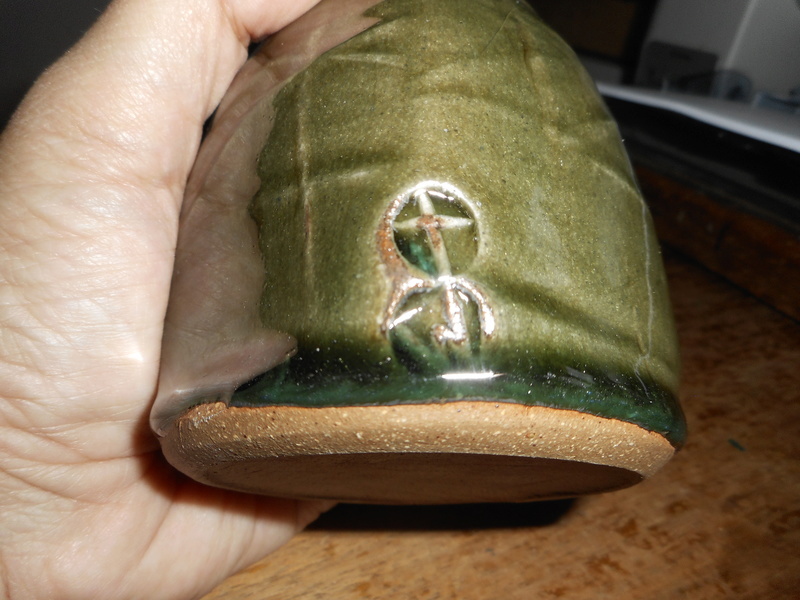 They determined that it was made by Joanna Wason at Leach St Ives Studio pottery. I was hoping to know what hallucinatory drugs they were taking and now you've spoilt it. studio-pots wrote: I was hoping to know what hallucinatory drugs they were taking and now you've spoilt it.